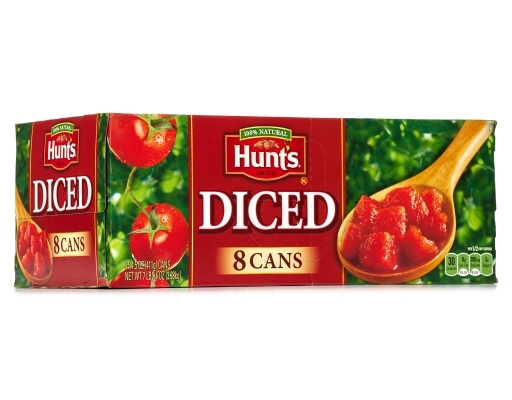 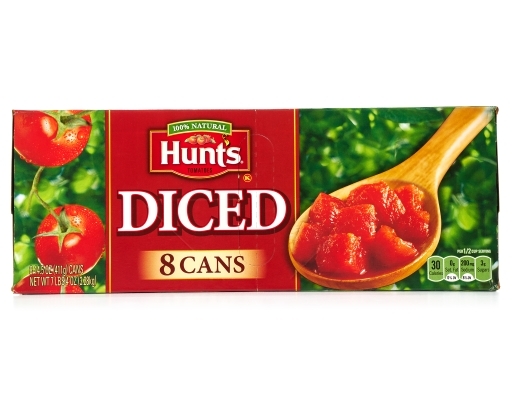 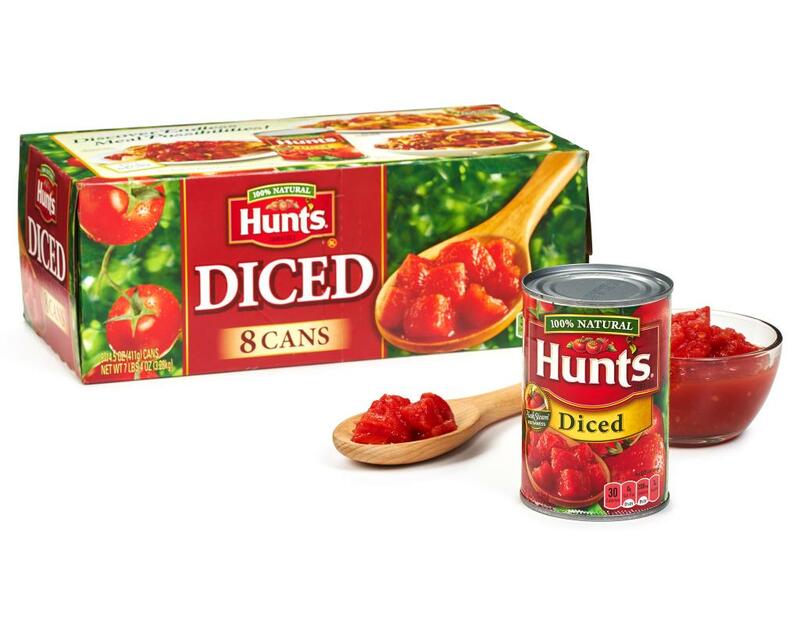 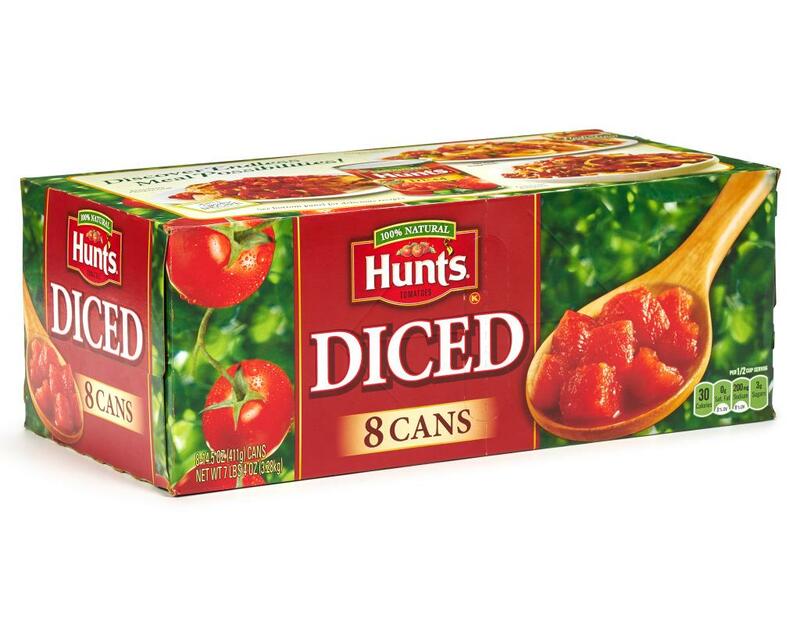 Hunt's Diced Tomatoes are peeled with FlashSteam, chopped (so you don't have to), and packed in their own juice—all within hours of picking. 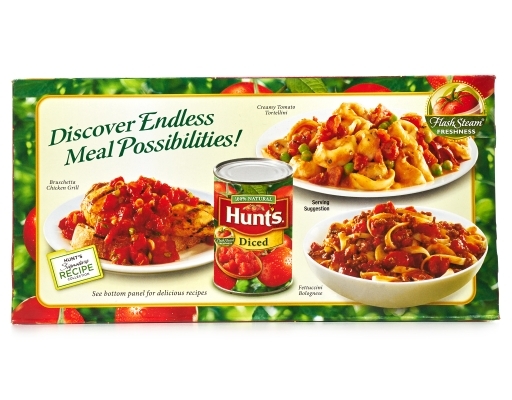 They're delicious in all your favorite meals, including classic Italian dishes, Mexican meals, and Southern stews. 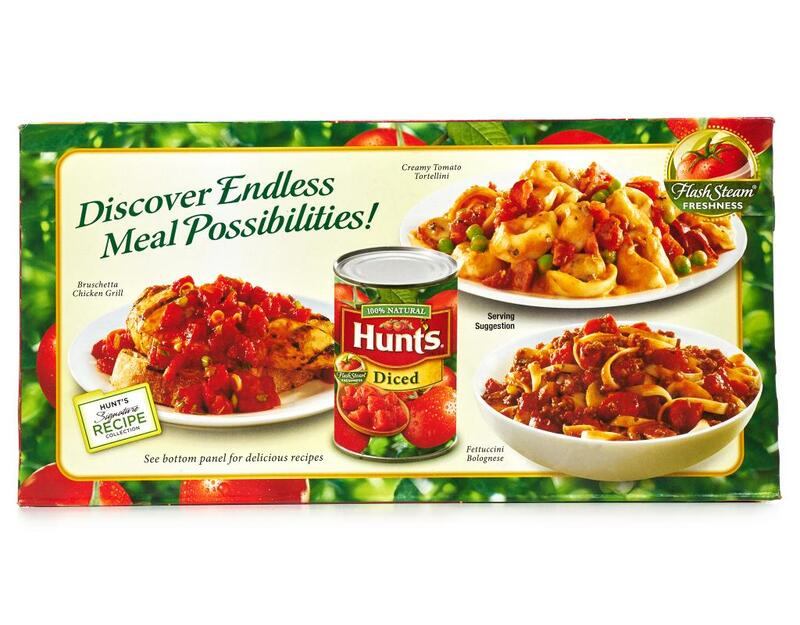 Hunt’s Tomatoes are always premium and vine-ripened. 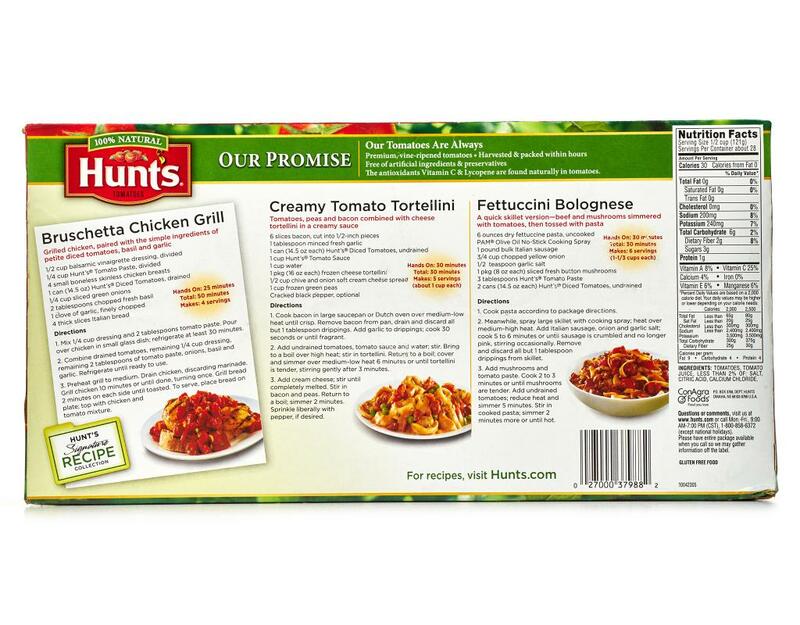 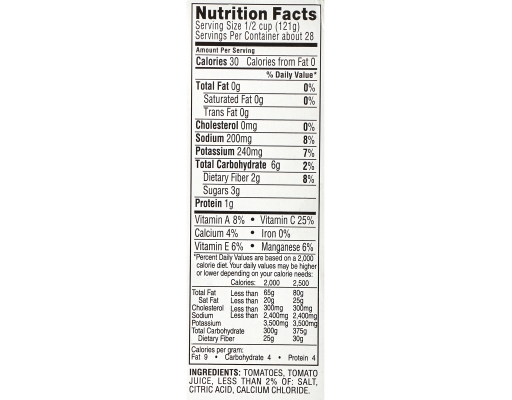 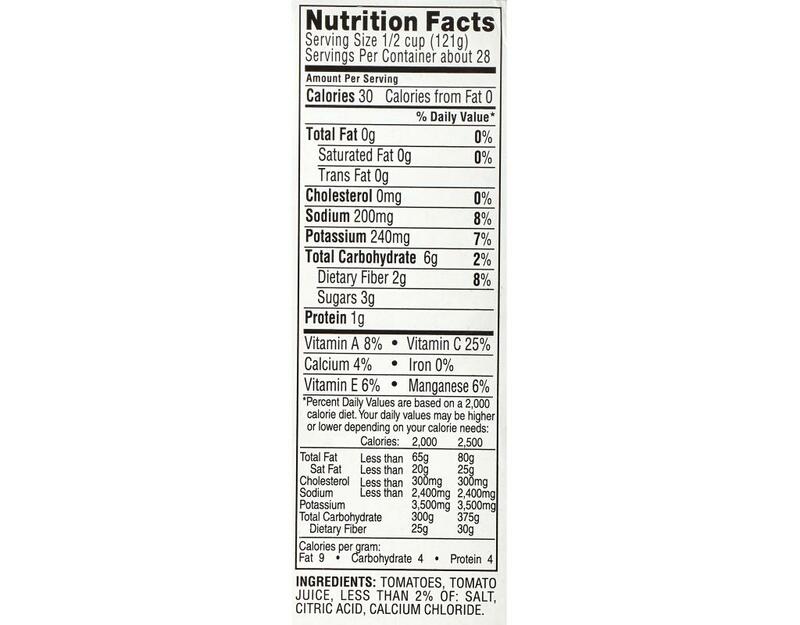 Harvested and packed within hours and free of artificial ingredients and preservatives. 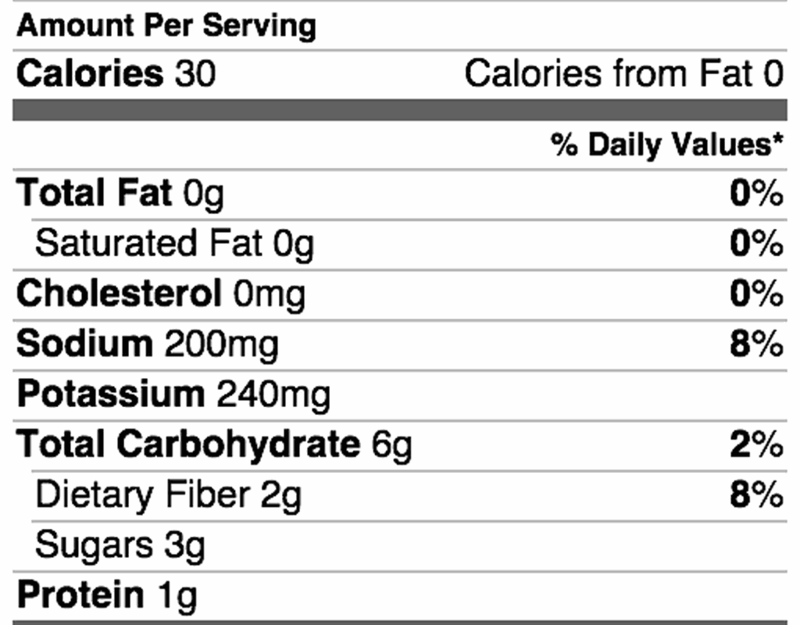 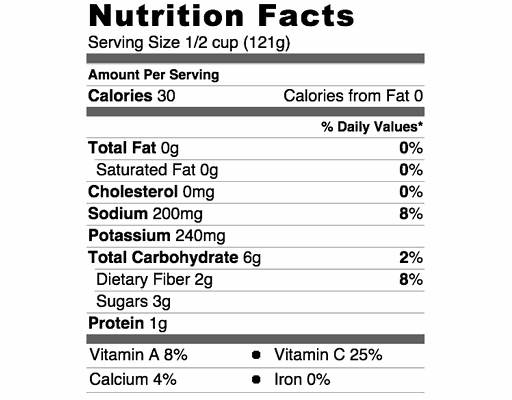 The antioxidants Vitamin C and Lycopene are found naturally in tomatoes.